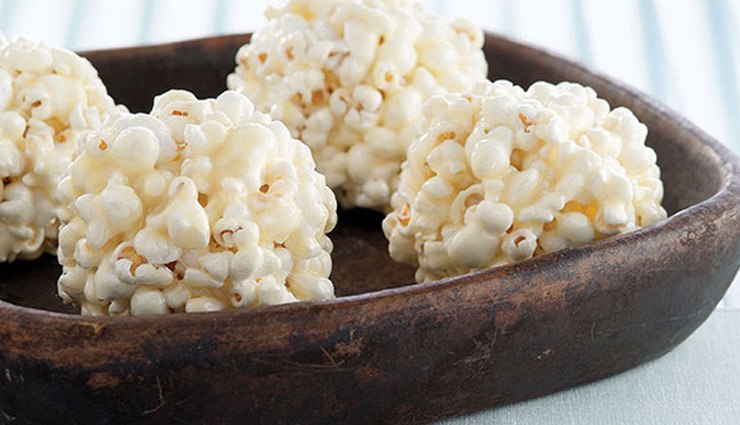 Whip up a batch of these scrumptious popcorn balls for lunch and have the leftovers during your romantic movie. * In a large pot, melt butter over medium heat. Add marshmallows and stir until melted. Add in white chocolates. * Remove from heat and stir until smooth. Add popcorn and gently stir until evenly coated. * Pour out onto a cookie sheet lined with parchment paper. Sprinkle on half of the sprinkles. * Using buttered hands, form popcorn into one balls for mini bites or two inch ball for regular size. Add additional sprinkles as necessary to each ball to make pretty. * Let set until cooled.